This year’s luncheon will feature a conversation with media trailblazer Eleanor Clift and will honor radio icon Ed Ingles with Lifetime Achievement Award. 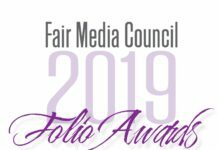 GARDEN CITY, N.Y. – On March 27 from 11 a.m. – 2 p.m., the Fair Media Council (FMC) will be hosting the 2019 Folio Awards at the Garden City Hotel in Garden City, New York. As Long Island’s most prestigious media event, the 2019 Folio Awards brings together the best in media with community and business leaders to celebrate and honor quality news and impactful social media. Local, regional and national news stories and social media campaigns are judged by media-savvy news consumers and journalists for excellent journalism and relevance to the public, among other criteria. This year’s luncheon will feature a conversation with Eleanor Clift of MSNBC and The Daily Beast. Radio icon Ed Ingles will also be honored with the Lifetime Achievement Award. Jaci Clement, CEO and executive director of the Fair Media Council, serves as the voice of the public in news matters, to ensure news coverage is responsible and the media remains responsive and respectful to the public it serves. “The Folio Awards recognize excellent journalism that resonates with the public – and that’s critical feedback for a newsroom, because great journalism means nothing if it doesn’t capture the public’s attention. Put another way: You need critical acclaim and success at the box office to earn a Folio,” says Clement. 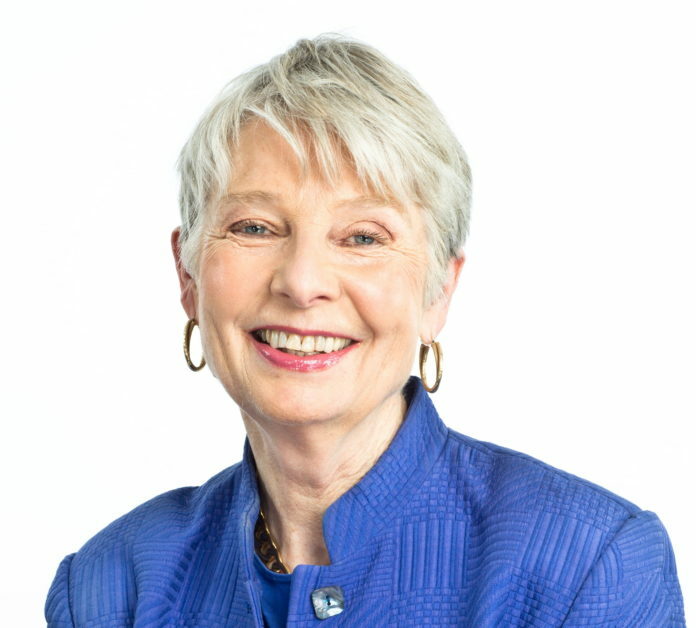 Eleanor Clift, known for her trailblazing career in the media industry, will be this year’s featured speaker, taking part in a conversation with FMC CEO Jaci Clement. “Over the years, we’ve been incredibly fortunate to host some of the most notable names in the news business. We continue the tradition this year, by bringing the legendary Eleanor Clift to Long Island to discuss her groundbreaking career, news and politics today, and life inside the Beltway,” says Clement. 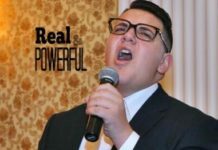 This year’s winning news outlets include Anton Media Group, Blank Slate Media, FiOS1 News, GreaterLongIsland.com, Long Island Business News, MyLITV.com, NBC New York, New York Magazine, New York Times Magazine, Newsday, NYIT Magazine, PBS Frontline, PIX 11, ProPublica, The New York Times, The Pioneer, The Well, This American Life, WABC-TV, WCBS Newsradio 880, WCBS-TV, WFTU Radio, WLIW/WNET, WRHU FM and WSHU Public Radio. ACLD, Hofstra University, Long Island Cares, South Nassau Communities Hospital and St. John’s University will be awarded for their excellence in social media. This year’s event is sponsored by Bethpage Federal Credit Union, Northwell Health, Mazars USA, Protiviti, NBC New York, the law firm of Murphy, Bartol & O’Brien, Mount Sinai-South Nassau Communities Hospital, Hofstra University, SUNY Old Westbury, St. John’s University, and ACLD. WABC 7, WNYW/FOX5, Muck Rack and Long Island Business News are media sponsors. Tickets, tables and ads may be purchased at https://www.fairmediacouncil.org. The Fair Media Council advocates for quality news and works to create a media-savvy society in a media-driven world. FMC is a 501c3 nonprofit organization headquartered on Long Island, N.Y. Established in 1979, The Fair Media Council (FMC) is widely regarded as one of the most successful media watchdog organizations in the country. FMC greatly influences the public conversation in two ways: It challenges the news media to improve its performance, and it educates the public to become media-savvy news consumers. The two-sided mission makes FMC unlike any organization in the country. FMC’s work begins at the hyperlocal level and extends beyond borders. Events enabling an open dialogue between the news media and the public serve to build bridges of understanding and address the knowledge gap of the news media’s role in democracy and the need for an informed electorate. Eleanor Clift is currently a columnist for the online publication Daily Beast, where she writes about politics and policy in Washington. Clift also serves as a contributor for MSNBC. Clift has covered every presidential campaign since 1976. Clift began her career as a secretary to Newsweek’s National Affairs editor in New York. She was one of the first women at the magazine to work in the Newsweek newsroom. As a reporter in Newsweek’s Atlanta bureau, Clift covered Jimmy Carter’s bid for the presidency and followed Carter to Washington to become Newsweek’s White House correspondent, a position she held until 1985. Clift left Newsweek briefly in 1985 to serve as White House correspondent for The Los Angeles Times. She returned to Newsweek the following year to cover the Iran-Contra scandal. Clift is best known as a panelist on the syndicated talk show, “The McLaughlin Group,” and has appeared as herself in several movies, including “Dave,” “Independence Day,” “Murder at 1600,” “Rising Sun,” and the CBS series, “Murphy Brown.” Clift is also the author of multiple books including “War Without Bloodshed: The Art of Politics,” “Madam President: Shattering the Last Glass Ceiling,” “Founding Sisters,” and her most recent, “Two Weeks of Life: A Memoir of Love, Death and Politics.” Clift lives in Washington, D.C., where she is on the advisory council of the International Women’s Media Foundation, the board of the American News Women’s Club, the Board of Governor’s of the National Hospice Foundation, and the board of Respect Ability. Ed Ingles is widely known for his long and distinguished career in sports journalism. For nearly three decades, Ingles served as Sports Director and a.m. drive-time sportscaster for WCBS AM 880 New York City. Throughout his career, Ingles was also a broadcaster for the New York Jets and St. John’s University’s basketball team. In addition, Ingles has appeared on CBS’ NFL pregame show numerous times. Today, Ingles uses his knowledge and expertise as Professional-in-Residence to mentor aspiring young radio professionals at Hofstra University.